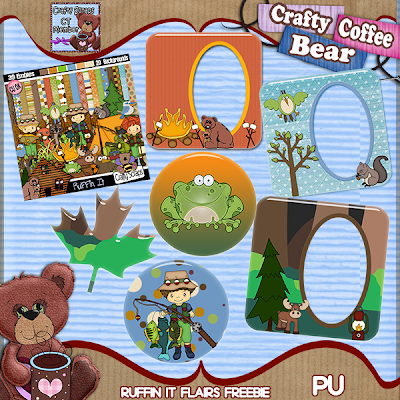 Hello and welcome to the Crafty Coffee Bear Blog! I want to let you know that I now have a new blog where you can find announcements and new freebies! Everything here is still available for you to download for free. However, all of the HFD posts only have my a download for my 2 required pieces of the kit. 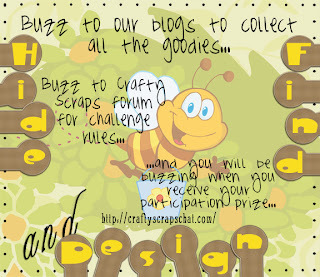 Michelle of CraftyScraps is ill at this time, so the HFD challenges are Not currently available since she is unable to keep up with her forum. If that changes, I will update this to let you know. 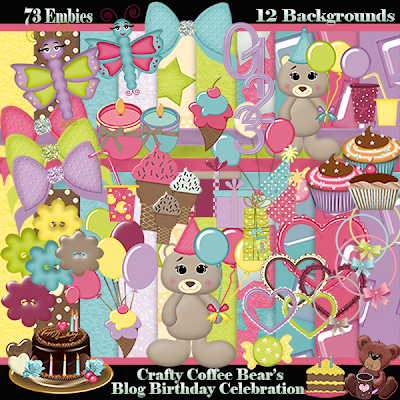 Enjoy your visit and please visit my new blog where you will find all of the latest freebies. I decided to create a post just for that! 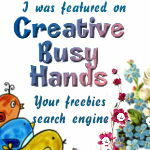 All of the freebies here still have working links. Please note my Welcome post at the top of this blog for further info. know if she will be able to continue with her Crafty Scraps blog, store and forum. the years and made the HFD the hit that it's become. For now, those are on hold too. so I can get you a new link. 8 new backgrounds (4 Glitter and 4 Patterned) for you. I hope you enjoy it. It's time for the next HFD blog hop! the dog lovers out there! 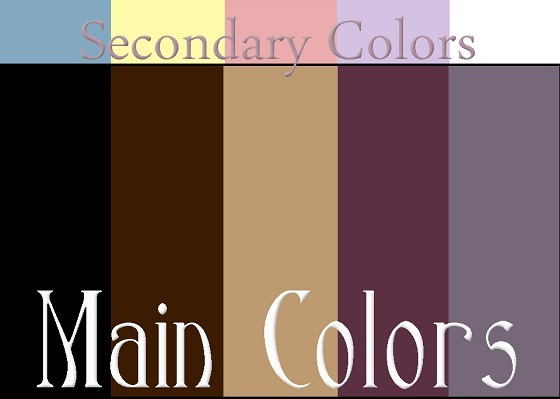 Here is the color palette we used this time..
blog to pick up hers and follow to the next blog from there. My blog just celebrated it's 1st birthday! many more goodies with you for the next year! I hope you enjoy the kit and thank you all so much for visiting! is having a Huge Sale! 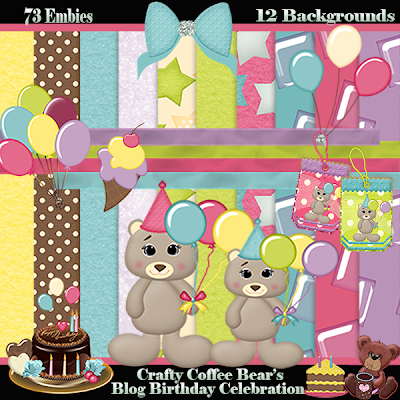 She also has a freebie for you on her blog and many more in her store! It's the 15th of the month...and you know what that means! layout from the required pieces! I hope everyone is doing well and enjoying your summer so far! get the mega kit for Free! ©Crafty Coffee Bear 2012. Watermark theme. Powered by Blogger.